Again it might be relevant, unless they was raising pigs on the Court Square, in all likelihood he was taken someone farm where this dirty deed was done. Possibly. Sanborn Maps do reveal that the courthouse square was once home to a few stables, so it could have happened there or it could have happened in Ripley, MS. Thanks for commenting. Tiffany what is your email address? 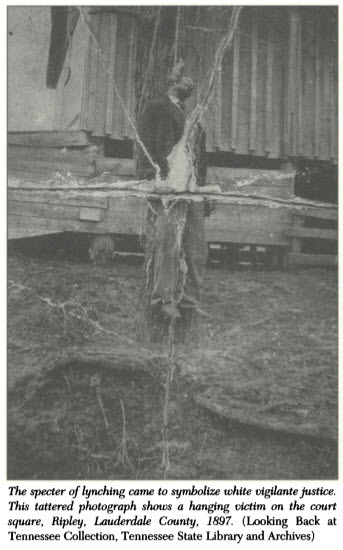 Tiffany, I found a reference to the lynching of Richmond Thurmond, Ripley, TN, Aug 8, 1898 in “100 Years of Lynchings” by Ralph Ginzburg, p. 269.